Begin by preparing the glasses: Place the sugar and salt on a small plate. Run a lime wedge around the edge of the glasses to moisten them, then tap the edges of the glass in the sugar/salt mixture so it sticks. Fill with desired amount of ice and set aside. 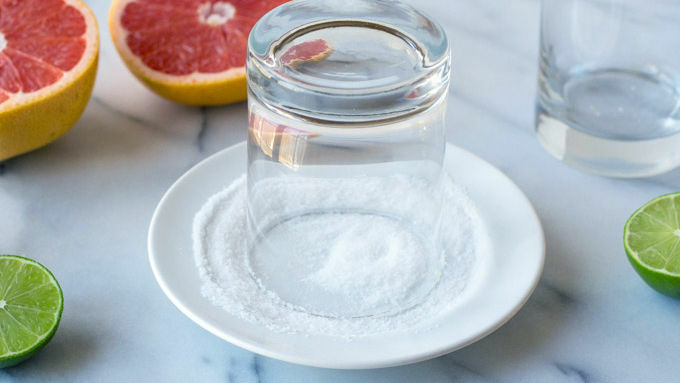 In a cocktail shaker or lid with a tightly fitting jar, add the lime juice, grapefruit juice, tequila, and triple sec. Top off the shaker with ice, then close the lid and shake vigorously. Strain margarita into the prepared glasses, then top with a splash of club soda. Garnish with lime and grapefruit wedges. Enjoy immediately. This effervescent cocktail is the perfect summer drink. A well-made margarita is my favorite cocktail. Every sip tastes of warm beaches, bright sunshine, and places I’d generally prefer to be rather than my desk. Although I enjoy margaritas year-round (try ordering one in January—it feels like beating winter), at no time are they more appropriate and, dare I say, mandatory than Cinco de Mayo. Although a classic margarita made with fresh lime juice (don’t you dare touch that premixed stuff! ), triple sec, and tequila always hits the spot, margaritas are also open territory for fruity experimentation. 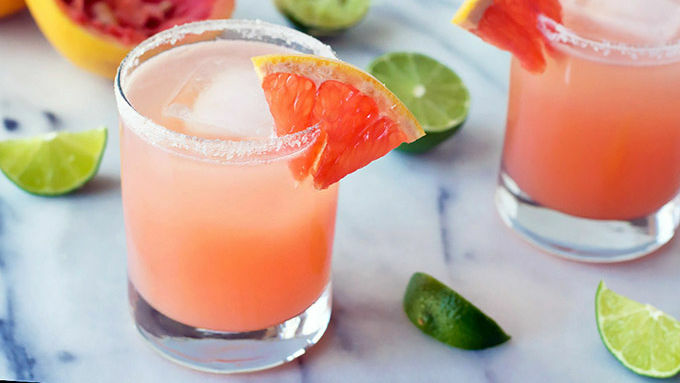 Today’s Fizzy Pink Grapefruit Margaritas are fun, fresh and dangerously easy to sip. The base of the grapefruit margaritas mirrors the classic: fresh lime juice, triple sec, and tequila. The addition of fresh pink grapefruit juice adds an addictive, fruity tartness, and a final splash of club soda makes the margaritas delightfully effervescent. Finish the margaritas with a fizzy splash of club soda, raise your glass, and sip deeply. This pretty pink drink is a fiesta in a glass!